An impressive and refined concept album around the myth of Atlantis. An emotional Prog Rock opus with many rich influences (from Rock to Pink Floyd), velvety vocals, deep culture, focused on ocean and sea. The few debatable moments don't eclipse anyway the very good work. EmOcean like emotion. The mythos of Atlantis, the mystery of the Bermuda Triangle, the Sargasso Sea, the fascinating stories coming from the old Greek world with its god Poseidon, told in a concept album supported by 2 main pillars (like the Pillars of Hercules : Progressive Rock, concerning the music aspect, and a well detailed research concerning all myths of the watery underworld which took place in archives and libraries, done by Hubi Meisel himself, who, dealing with science and Greek language too evidently shows the intellectual attitude to study in depth. It's mainly Socrate's student Plato, who in his book Critias describes the creation and life of Atlantis, the muse inspiring Hubi Meisel to materialize in a concept album his vision of the lost continent. "Timaeus" and "Critias", two of Plato's dialogues, are actually the only written sources which specifically refer to Atlantis and to the war between presumed ancient Athenians and the Atlantians 9000 years before Plato's time. These mysteries, merge in EmOcean into one only thing with the water, with the sea, with waves and dolphins. Sea water translated into a varied eclectic Progressive Rock full of facettes and refined sounds in which Hubi Meisel's vocals can deliver a velvety feeling of liquid fluidity and strange "emptiness" too. Meisel's voice is not particularly mighty, many times even thin, but agreeable and able to "embrace" more octaves and contributes in giving to this album a touch of distinction, which is, after all, its main peculiarity. This music is like a film, this music is luxury and abundance in notes, spanning from chill out and metal heaviness. It is something to taste with closed eyes, relaxing while your mind reaches far shores and swims under blue Mediterranean surfaces. Or it is the ideal soundtrack for a party of class, or the soundtrack for accompanying hours of calm study. Nothing to do with songs that are easily consumed. We are in high spheres, which anyway can be within everybody's reach, cause the real luxury lays in your brain, in your culture, in your personality. Sophisticated and amazing keys spray throughthout the work, melodic guitars are present as well as heavy riffages, above all in the first part of the album. Modern sonic effects of ambience alternate with sweet piano notes and orchestral feeling. Experimental moments walk hand in hand with wide influences coming from Rock, Prog Metal, Jazz and latest Pink Floyd era's, you can also find a slight touch of gothic along with synthetic modernity. This release has many lights, but some shadows too : the second and third section unfortunately present also some moments of boredom and self repetition in the slow melodic coils that, in my opinion, don't deliver anything more compared with the contents of the first half. Nevertheless it is much a matter of taste and how mooded you are. The work is remarkable nonetheless. The album opens with a lively catchy energetic Prog Rock full of guitar riffages which burst after an intro of tempestoso waves. However, Lost in the Waters of Sargasso doesn't develop into a dark song, but into a track full of ambience and Rocking power with discrete but effective leads, sweet keys notes and massive rhythmic section, elastic vocals. Indeed, catchy rhythmed as it is, this track could be also extrapolated and included in a Rock compilation. Notes of sadness fluency disappear into a resolute rhythm. Lost in the waters of Sargasso also provides slowing down tempo changes, a lead solo and an intense galloping, and atmospheric gothic loops. Ocean's waves and atmospheric Arcanum are the 2 factors that let us move on from the first track to the second one Poseidon's Trident, another rocking sound where Meisel's vocals get a special effect of vastness. An electric nervous hammering guitar push runs after a massive rhythmic propulsion and mysterious, varied keys which enrich and support the sound in the background. On the contrary, solemn and dark is the passage to the successive Nocturnal Breeze where a distorted lead is towering in order to give feelings of infinite water, dolphin's crying but strangely enough at the same time is able to share an impression of metropolitan obsession. Our modern towns and homes swim on nocturnal waters, and the first ambience sound of a dolphin is indeed greeting us in a piano atmosphere, announcing the following Dolphin's Wake; unknown and catchiness mixed together in a song that makes you dream and think of lost time-space connections and of starry skies. Cosmic tensions and rocking attitude, shifted even to Metal, during the more thundering moments. And it is with a dolphin's dive and bubbling water that the first introductive part fades in to the central one, focused on Atlantis. Underwater fears scatter modern gothic synthetic techniques concerning vocals (and backing vocals too) into the usual Prog Rock environment. This song, though being remarkably different from their music, reminds me anyway of Deathstars. This tells us that we are also attending many Metal and Rock influences, opened to new tendencies of the scene. FantaSea is a melodic Rock song with many distorted and psycho effects. Great short solo full of temperament. Vocals get a particular echo, supported in the final by a more complex backing vocal contribution. Solemn and mystic choir and very melodic vibes for The Souls of Atlantis, track that, with its almost 13 mins length is the emotional core of the concept album. Passionate, delicate and strong, melodic and rhythmed it is, all in all, a rich song delivering also short moments where even psycho chords à la Pink Floyd enter in the carousel. One shadow : this song is really too various, an opus in itself and it is really the moment where you cannot listen as if you would make a normal easy listening; nevertheless you would have a stronger song : the thundering and supportive drums, the varied and intense instrumental frame cannot avoid a certain loss of power and energy. There, where you need high voltage in the center of this marine galaxy. This track shows anyway magical loops in particular in its central part where the rhythmic session becomes the main actor. In its last minutes it reaches a point where after a pause the piano introduces a dreaming sector with notes that remind too much of the HIM intro of Join me in Death. The tension increases with the uptempo Sapientia Vitae, a real Prog track which anyway i don't like but imo really tells nothing new in the contest, but adds only a moment of length, there where we should change register. Infinite wings that fly among lost folks and tormenting corners of the cosmos build the image of the great short instrumental Azure Dreams that closes this section dedicated to Atlantis. A pushing combination between Rock and Heavy and even a certain touch of Death is the bursting beginning of Aqua Phoenix which opens the third part bringing us back to Sargasso sea, the hammering spiral leads to a rocking lead solo, but unfortunately also in a moment of slow intellectual and moaning Prog that, frankly told, is terribly boring for me, breaking completely the strong characteristic of the song. Steam hammering riffages, Rock attitude and a more lively Prog with new ideas of experimentation support on the contrary the nice Aero Nautical which provides us also with drops of jazz, of oriental flavors, of varied digital effects which maybe should represent a lost technology coming from Jason and his Argonauts, interpreted in a fully modern way : as they were travellers of the XXth century. Two bonus tracks give a final contribution to this monumental release, which will be available as Digipack Special Edition in Europe and USA. Bonus tracks featuring Joop Wolters's guitar and bass. Lyrics and concept are written by Huby Meisel, who worked in cooperation with the French composer and keyboarder Vivien Lu (Shadrane), while an international cast of musicians is giving total support to the musical realization of this work, finally mixed and produced by the same Hubi Meisel in his studio in Munich. 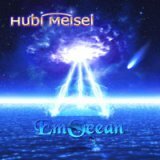 This is the second album of Hubi Meisel's solo career, a career underlined by Rock and Prog metal, from the moment he played, during the 90's, in the Prog metal band Dreamscape. It is not obligatory to be a Dream Theater or in general a Prog fan in order to get interest in this work : you "just" need to have a soft spot for sea underworld and its lost myths. And to be open-minded concerning music in general.